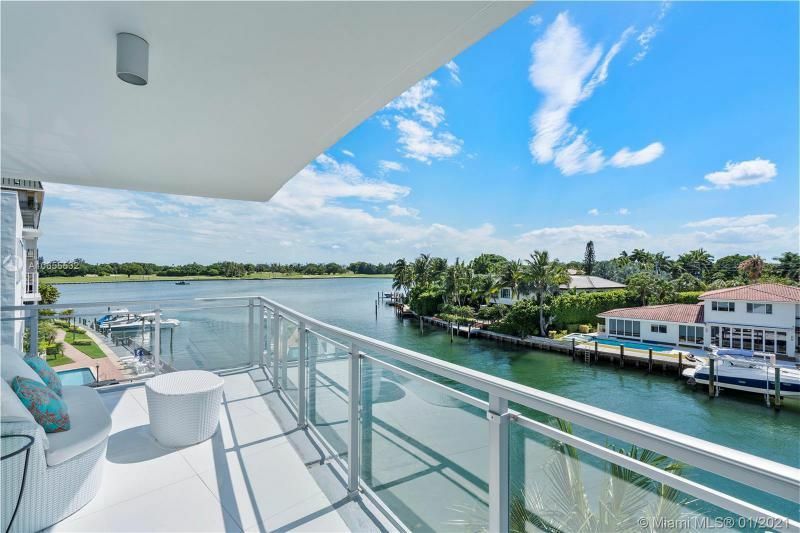 Magnificent 3 bedroom waterfront residence in exclusive RIVA on prestigious Bay Harbor Island. This extremely private boutique building provides residential living at the highest possible level and includes a spectacular roof-top terrace with custom pool and spa for sun bathing or just relaxing under the stars. Interior boasts polished porcelain floors, custom designer kitchen, spacious baths and unique European wall coverings. Across the street from some the best Florida School - 10 out 10. The INTERIOR according the floor plans 2,347 SF, Terrace 729 SF, Total 3,076 SF, Living Area according Miami-Dade Property Appraiser 2,151 SF.